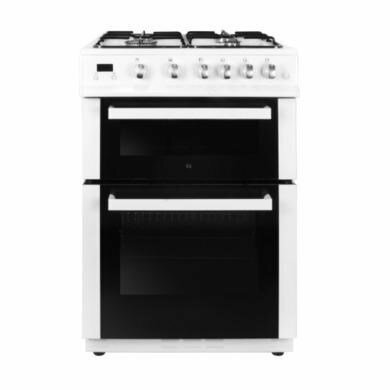 This 60cm iQ double oven gas cooker from the electriQ range provides a host of cooking features to increase your cooking options. 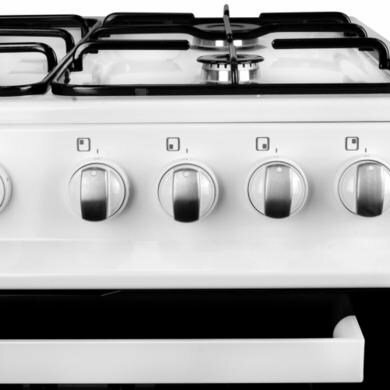 With a main gas oven, a second oven with a grill and a gas hob, you won’t have any problem in cooking a meal for the whole family. 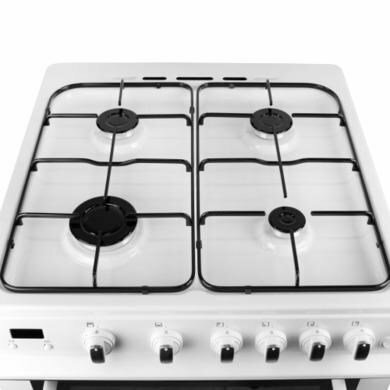 Extra features of this gas cooker include auto-ignition, a digital clock with a minute minder, an included LPG conversion kit, two shelves and grill pan handle set. 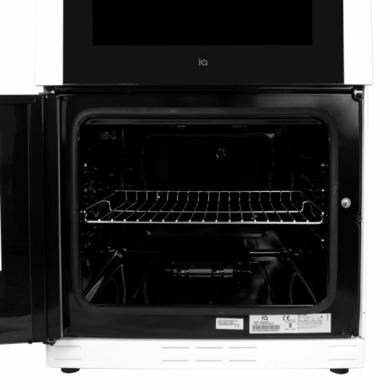 The 41 litre main oven can be clearly illuminated by an interior light so that you can see better how the food is cooking without having to open the door and disrupt the temperature. The thermostat will ensure that this temperature is kept consistent throughout cooking so that you food is evenly cooked. 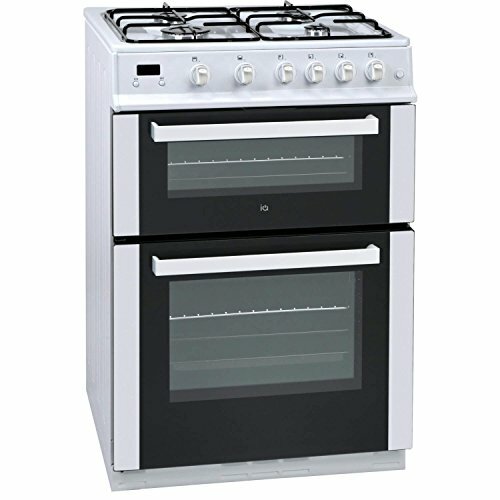 The 17 litre top cavity of this cooker is an oven and a grill which makes this a very versatile cooking space. Not only can it add the finishing touches to a dish or cook a snack with the grill, but it can also act as an extra cooking space for larger meals. 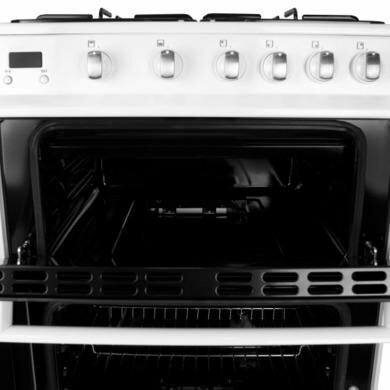 The digital clock sits in the centre top of the cooker and gives the whole appliance an upgrade appearance and functionality. This clock can also act as a minute miner, which will count down a pre-set time so that you can get on with other things without having to constantly keep an eye on the food.